Wyzerr is a survey software that enables users to collect feedback from employees, consumers, and customers. It generates responses through Smart Forms, which have fun and playful interfaces designed by gaming developers, with the goal to make data gathering more interactive. In this review, we shared its available pricing options. As of the date this article was written (09/20/18), there are no user reviews of Wyzerr online. If you are a past or current Wyzerr customer, leave a review to help other business owners who are deciding whether or not to use Wyzerr. 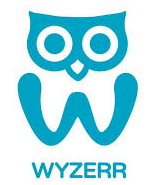 Wyzerr’s new users can sign up for free and get 100 survey responses. Registered users who need more than 100 survey responses can upgrade their free plan to any of the three paid plans: Basic ($25/month), Professional ($99/month), and Enterprise (customized pricing). The main differences between the plans are the advanced customization and reporting features. All paid subscription plans include a survey builder and dashboard for results, Smart Forms, survey templates, and weighted responses. They also offer the ability to export data to CSV, as well as omni-channel platform surveys. Smart Forms are specially designed surveys that feature playful interfaces to make responding feel more like a game. These are created with the help of gaming developers, with the goal to make it easy for respondents to share their feedback. Smart Forms can be in Bubble, Quadrant, Grid, Orbit, Binary, or Open Text style. Can I monitor ongoing surveys on Wyzerr? Yes. Wyzerr’s Insights Dashboard allows users to read survey health metrics and data visualizations in real-time. Can users upgrade and cancel their Wyzerr subscription plans at any time? Yes. Users can both upgrade from a free plan to a paid plan and cancel their subscriptions anytime. This video provides an overall background on what Wyzerr can do to help businesses improve their customer relationships and increase their sales. Not sure if Wyzerr is the right fit for you? Read our reviews of all top survey software providers or check out one of these three Wyzerr competitors.